Alaska is a big state that offers many exciting travel opportunities. From soaring over the tallest peak in North America, to Grizzly bear viewing in scenic Brooks Falls, an Alaskan shore excursion can be found to accommodate all ages, abilities, and interests. Some of the most popular activities for visitors to Alaska include bear viewing, flight seeing, fishing trips, hiking, and wildlife viewing. And almost all of these adventures can begin here at Lake Hood, in Anchorage, Alaska. Anchorage is home to the world’s largest Seaplane base, in Lake Hood. As such, a flight seeing tour out of Anchorage is a simply a must for any visitor to the state. With multiple tours departing out of Lake Hood daily, there is no limit to what you can see on a Regal Air Seaplane. Our most popular flightseeing tours include the Knik and Colony Glacier tour and the Mt. McKinley tour. Don’t forget to check out the additional information regarding flightseeing tours, located on our website. Bear viewing, a coveted Alaskan experience, is quickly growing in popularity amongst visitors to the state. Here at Regal Air, our two most popular bear viewing destinations are Silver Salmon Creek, and Brooks Falls in Katmai National Park. Both places are each uniquely beautiful and offer a chance to see grizzly bears in their natural habitats. At Silver Salmon Creek, you may see these majestic creatures frolicking together in the grass, or clamming on the beach. And Brooks Falls is the sight of the famous photograph of a bear catching a salmon in its mouth. Maybe you’ve seen it during your Alaska research! Bear viewing is truly a once in a lifetime experience and your Alaskan adventure will not be complete without it! If a fishing trip is more your style, we have many great options for you as well. We offer fully guided fishing trips with our experienced and knowledgeable guides. Our fishing trips are all inclusive, a great no fuss, no muss option for you practical fishermen! 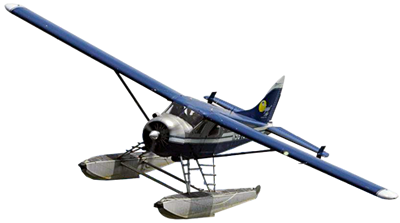 We provide the gear, lunch, and the airplane ride to and from the fishing streams. Having such a good time that you’re not ready to leave after just a day? Well, you’re in luck! Here at Regal Air, we’ve teamed up with the best fishing lodges in Alaska, located in all of the prime fishing destinations. This guide to your Alaskan adventure is really just the tip of the iceberg! There are many more amazing locations and adventures to discover in Alaska, and additional information can be found on our website.